Pope Benedict XVI on Thursday becomes the first pope to resign in 600 years. Kathryn Jasper is an assistant professor of history at Illinois State, teaching medieval history. She weighed in on the resignation of Pope Benedict XVI, and the strange history that follows papal resignations. It’s so rare for a pope to resign from office. When is the last time it happened, and under what circumstances? It has actually only happened three times that we know about, and in all three cases the pope resigned under unique circumstances. The first time, the young Pope Benedict IX (elected in 1032) resigned his office to an archpriest in Rome for a sum. A contemporary account also claims he wanted to marry. The new pope took the name Gregory VI in 1045, but not long after, Benedict regretted his decision and tried to reclaim his office. The ensuing struggle required the intervention of the German Emperor, Henry III, who descended over the Alps to dispose both Benedict and Henry, after which he imposed his own candidate, Clement II. The second time a pope stepped down from his office it was 1294. The previous pope, Nicholas IV, had died two years earlier and it looked as though the conclave (at that time a body of less than 20 cardinals, a fraction of the modern conclave) would never agree on a pope because of various political divisions and alliances. They settled on a neutral candidate, Pietro di Murrone, a priest and former monk from a humble background who was living as a hermit in the Italian wilderness. His reputation as a renowned ascetic attracted the attention of the papal curia. Pietro accepted the honor and took the name of Celestine V. Being extremely pious, but wholly unsuited for the highest office in all of Western Christendom, Celestine V resigned in 1294 after only about five months in office. The final example occurred in an even more unusual situation. In the 14th century, for various political reasons and because of the growing influence of French cardinals in the curia, the papacy had moved its seat from Rome to Avignon in France. When Pope Gregory XI finally moved the curia back to Rome in 1377 and died shortly thereafter, the Roman people feared his successor would also leave the city and placed pressure on the College of Cardinals to elect an Italian pope. The College quickly elected a compromise candidate, but within a short time many cardinals became dissatisfied with the new pope and invalidated his election citing duress. These cardinals elected a new pope who moved the curia back to Avignon, while the pope in Rome refused to step down from his seat. This period in which Europe saw the reign of two competing popes—one in Rome, one in Avignon—is known to history as the Great Schism of the West, and it lasted from 1378-1417. The Schism only ended when the Council of Pisa intervened to resolve the conflict in 1409. However, the ecclesiastical council only made things worse. They deposed both the Avignon and Rome popes, and then elected a third. None of these men were willing to resign the papacy, so it would take another few years to fix the problem. The Council of Constance, which convened from 1414 to 1418, organized ecclesiastical delegates from all over Europe who subsequently deposed the Avignon pope, and the pope elected by the Council of Pisa, and then they managed to convince the Roman pope to resign. At last the Council elected a Roman cardinal as pope (Martin V), thus ending the Great Schism. And that was the last time in history that a pope resigned. How has the role of the pope evolved over the centuries? As a medieval historian, what I find particularly fascinating is how the role of the pope evolved during the 11th century. It was at that moment the pope became a monarch, and that role has endured ever since. Before this time, the pope had been the titular head of the Church as bishop of Rome, but the papacy was largely at the mercy of meddling secular rulers and Roman nobles. The 11th century saw the rise of several important reform-minded popes. Ironically, when the German Emperor Henry III appointed Pope Leo IX in 1049, he helped begin the process by which papal election would be reclaimed for the Church. The arrival of Martin Luther and other reformers of the 16th century changed the face of Western Christendom forever. The reasons behind the success of the Lutheran Reformation are complex, but the consequences for the papacy cannot be exaggerated. Before the mid-16th century, the pope was the undisputed head of the Church in the West, and that Church held a monopoly on the Christian faith, on salvation itself. After that time, the pope and his Church had to compete with numerous Protestant sects over the spiritual administration of the faithful. Consequently, it was only after the Reformation the Church came to be defined as “papal,” and then even more so in the 19th century once ecclesiastical appointments by the state had disappeared. 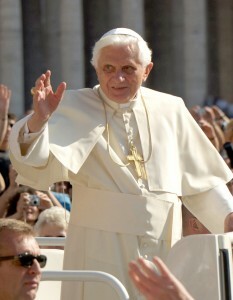 Pope Benedict XVI said he resigned due to his deteriorating health. Are there instances in history when a pope continued in the face of declining health? The most recent instance would be Pope John Paul II. Towards the end of his life, I saw him give a mass in Piazza San Pietro, and he was extremely frail but determined to continue. I remember many people in attendance expressed concern, but the decision of John Paul II to remain in office in spite of his deteriorating health was absolutely in line with tradition; the office of pope has historically been a lifelong commitment, except under extreme circumstances. The conclave will soon meet to choose a new pope. Has the process changed much for the conclave over the centuries? The reason there is a conclave today is because Pope Leo IX founded the College of Cardinals, a body of advisers to the pope formed to resolve issues of doctrine and other various pressing concerns. Some years later in 1059, Pope Nicholas II went even further and revised the procedure for papal election, granting that right to the College of Cardinals alone. This move broke with centuries of tradition, and survives today as the papal conclave in which the Cardinals elect a new pope. The idea of a conclave and the term itself only first appeared in the late 13th century. The papal elections of 1271 had lasted over two years in the Italian city of Viterbo when local authorities there decided to close up the cardinals and force them to make a decision. It worked, and the next pope adopted the practice and made it law in 1274. The conclave represented an absolutely secret and closed assembly, as it does it to this day. Although the idea encountered some problems at first including some attempts to abolish the conclave, its effectiveness could not be disputed and the papacy ultimately confirmed the conclave as a permanent institution.